netlify Fronteers Workshop January 2019 @philhawksworth EVENTS AND WEBHOOKS ARE WHERE THE FUN IS! 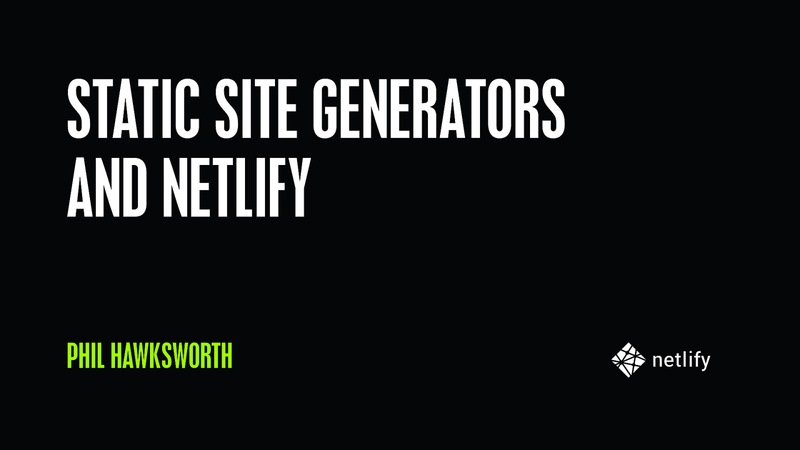 View Workshop: Netlify & Static Site Generators on Notist. This workshop aims to put more web development power back into your hands. We’ll look at how the Static Site Generator landscape has evolved over the last few years, and at how SSGs can be used in concert with the right tools and services to create web experiences which are far from “static”. Combining an examination of the underlying principles and technical architectures, with practical exercises and examples, together we will explore the kinds of a sites and experience possible, and build examples which demonstrate some key principles.